At about age five I saw a film that shook me to my core. Harry and the Hendersons was a story about a family who one day runs over a Bigfoot, or Sasquatch, by accident with their station wagon. Amazed, and thinking the creature dead, they strapped it to the roof of the car and drove home. The rest of the movie focused on how the Bigfoot turned out not, in fact, to be dead and caused a benign and loveable kind of commotion around the neighbourhood. The film was designed as a comedy, but I didn’t find it funny in the least. The idea of an eight-foot beast lurking in the very forests my family camped in, let alone the neighbourhood I lived in, terrified me. And that’s what I think of when I think of being a child and being afraid. All of us have early impressions of fear. Some impressions are rooted in the imaginary, and others, all too painfully and vividly, are rooted in reality. For some the dark side of our imaginations have become a reality, our worst nightmares made true. But no matter where fear is rooted we all face it daily. The darkness is chilling, the unknown is unsettling, and the world’s capacity for all that stirs fear up is deeply troubling. Fear is very present, very real, and shouldn’t be taken lightly. This is a painting from J.M.W. Turner, a 19th century artist known as the “master of light”. 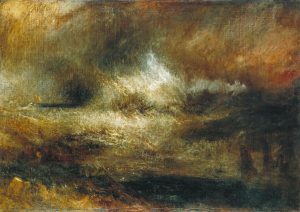 Turner often painted the ocean and this particular piece is called Stormy Sea with Blazing Wreck and depicts a ship on fire in the background with raging waves in the foreground. Chaos on chaos, you could say. 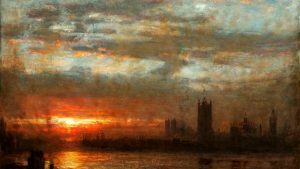 Masterful though Turner was with light, what often strikes me about his work is how truthfully he renders the untidiness of things. Turner’s world was gritty and raw; no clean lines, no easy answers. 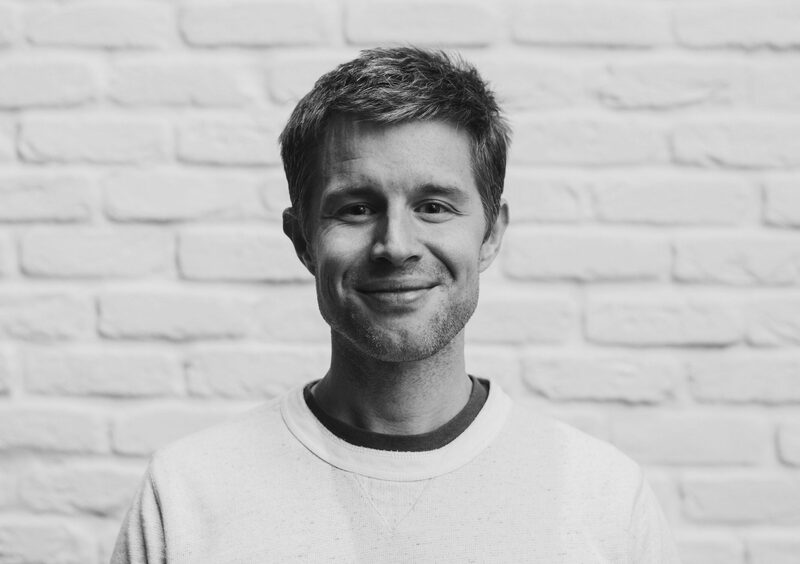 Living in the age of search engines and direct flights it can be tempting to approach the Bible expecting it also to be filled with clean lines and easy answers. But read the Bible seriously and you’ll find more grit and mess bursting through its pages than you might care to take in. Along with all of that you’ll find lots of stories and talk about fear. But that is not because the Bible is a book about fear, but because it is a book about how things really are. The Bible, you could say, doesn’t pull punches. Turn to any place in scripture and you’ll hear about what it’s like to live in the real world, what it’s like to be human, and where God is in the middle of it all. The biblical writers certainly knew as much about fear as we do. Turn to the Psalms and find poems filled with praise and admiration, but you can’t dismiss them as light-hearted worship tunes. They’re packed with raw feeling, and crippling fear is part of that honest expression. Turn to Exodus, Deuteronomy or Joshua to meet a recently liberated nation of slaves overwhelmed by the new life ahead of them, the unknown before them. Turn to the Prophetic books to find words written to a desperate community wondering if God had abandoned them in the fog of war and exile. Turn to the gospels to see the disciples so at a loss as to what is going on around them that their teacher has to constantly steady and comfort them. And turn again to that same teacher, faced with his own worst nightmare, sweating, trembling and praying alone in the darkness of an olive grove. Fear is depicted throughout scripture because it was written in and for the real world. And fear in a world like ours, says the Bible, is only natural. So we should say straight away that there is nothing inherently wrong with being afraid. Fear is the normal response to things that daunt or threaten us. Fear, then, isn’t a sin either. Fear is what comes upon us when the lights get switched off, as it were, when darkness enters the room. And the world can be a very dark place. In a way that’s what the writer of Genesis says about fear in the beginning. And that’s probably a good picture to start with; fear enters the room when humans switch the lights off. Genesis 1 and 2 opens as a story about a giving God, a flourishing world and humans enjoying both. But in Genesis 3 the man and woman become convinced that their “eyes will be opened” (Genesis 3.5) or they will become enlightened, we could say, when they reject the guidance of this loving Creator God. The cruel irony, of course, is that though man and woman are sure they’re opening their eyes they are actually closing them. They think they’re switching the lights on, when in fact they’re switching them off. And so, says Genesis, when God comes looking for the man and woman he finds them hiding and afraid. It’s a tragic story, humankind getting lost in a darkness it willingly brings on itself, and we’ve been dealing with such darkness ever since. Thankfully that’s not the end of the story because, as Genesis reminds us, God came looking, and this is a God intent with switching the lights back on. As we said earlier, the writers of the Bible knew as much about fear as we do, and this goes for the writer of Genesis too. When early on in Genesis we hear about the Spirit of God hovering over deep water, or making light to shine in the darkness, or bringing order to chaos, we’re hearing about a God who supersedes things. All things that rightfully made ancient people anxious: deep water, darkness, chaos. So, Genesis speaks of God as being over the deep, brining order to chaos and shining light into darkness. Such a dominant picture of this being is painted it should come as little surprise that when we read about fear in the Bible, we also hear God’s resounding response given his supremacy: fear not. That’s also what the Bible means when it says we should “fear God”, which admittedly in our English translations can be confusing language. Fearing God, it should be made clear, is more about revering God than living terror of him. When the Bible speaks of “fearing God” it usually means regarding God more than we regard other possible life controllers. For example, the Bible would lead us to revere or respect God over the chaos and darkness, because those things are in the end not really bigger or stronger than God. Humans should then “fear God” not because he is someone to be afraid of but because God is greater than the sum of everything we might have cause to fear. Darkness and chaos, and the fear it evokes, we could say, can’t be central because they’re not God. But, when they become central, they become an object of veneration or worship. And nothing, says the Bible, is worthy of that kind of respect other than God himself. Now, in the pitch black and the bedlam, everything closing in around us, facing the full force of fear, all this could sound a little trite, too easy, too clean a line. A bit like patting a small child on the head and telling them that God is bigger than Bigfoot and to go back to sleep. But God doesn’t do trite or easy, and he doesn’t sweep darkness and chaos under the rug. And it’s at that moment, the moment we feel like telling God to get real, that we hear the lash of a whip and the jeers of an angry mob. As soon as we’re tempted to think that God’s not taking the darkness and chaos and our resulting fear seriously we’re faced with the most harrowing scene in all of scripture: the gruesome and vexing image of Jesus – God with us – carrying a Roman cross. This is God, in the middle of it all, taking center stage. The cross is where, realistically, painfully and mysteriously, we see God taking seriously everything we have cause to be afraid of, and taking it head on. The cross is what results when God both acknowledges the problem of darkness and chaos and responds. And his response is to draw it all upon himself, swallowing it up whole as it seems to be swallowing him up. On the cross, at this very moment, the lights go out, as one writer put it, on a naked and brutalized Jesus. And this is the moment John’s gospel tells us that God’s glory, God’s character, God’s true nature is most clearly seen: Jesus joining humanity in the middle of the pitch black and pandemonium, but also dealing with and defeating it at the same time. Everything we brought on ourselves God moves to bring upon himself. The climax of the Biblical story is so raw, so shocking, that after Jesus’ death and resurrection Mark’s gospel basically ends with, “And no one knew what to do with what had happened, or even how to talk about it…” But in light of this raw and shocking story, in light of Jesus, the words in Isaiah and Revelation ring true for us in a new way. In response to all this what are we to do with fear? What if we don’t feel quiet as armed as Emily Bronte, not so resilient in the storm-trouble, but trembling instead? Two thoughts. For starters, we shouldn’t sweep fear under the rug as our culture often recommends. That message comes in many forms: buy this, watch that, stay distracted, stay busy, ignore the big questions, avoid thinking and talking about darkness and chaos at all costs. Seek out the clean lines, the easy answers. As Christians, the first thing we should do with fear is to get real, to name it, to call it what it is with God and with one another. Fear is present, darkness and chaos can sometimes surround us, the sea is raging and the ship is ablaze. But the cross makes space for that, for all the terror, all the anxious thoughts, all the paralyzing pain. And when we look at the cross we remember a loving God who welcomes us to offer him, to lay upon him even, everything we hold as dear and everything we hold in fear. I’d like to show you a final painting, this one from Albert Goodwin, another English artist who was heavily influenced by Turner. You’ll notice in this piece the grit and mess and lack of clean lines; like Turner’s work it’s untidy and honest. But you’ll also notice what’s breaking through it all, what’s filling in the gaps, what’s true, what bright, what’s shining in a darkness that, in the end, can’t overcome it.